Her first name, Bogolo, denotes ‘greatness’ in Setswana and she has lived up to it. Tall, slim and pretty, with bewitching beady eyes, Bogolo Kenewendo has made a positive impression on many with her intellect and visionary outlook. There was a buzz recently when the 31-year-old was appointed Minister of Investment, Trade and Industry, the youngest minister in Botswana’s recent history. Only Daniel Kwelagobe beats her to the title of Botswana’s youngest minister of all times, having become minister himself at the age of 26 shortly after completing his studies at Gaborone Secondary School (GSS). Bogolo has also been hailed as Cabinet’s best catch. Not a bad feat for a lass who a few years ago was an ordinary student at GSS and later UB. Inside sources say that Kenewendo is President Mokgweetsi Masisi’s “golden girl.” A source says she was “head-hunted and earmarked” for her current position. But with an MSc in Economics as well as work experience that spans consulting locally and in Ghana, she also has the insight of what makes the continent tick in relation to global development. Kenewendo believes that it is vital to understand and invest in young people. “Young people need a conducive environment to explore their potential. We have a lot of amazing and hard working young people and we can only know what they are capable of if we give them space and support,” she says. Kenewendo has revealed she is single – which could probably be music to the ears of her legions of fans, mostly men who have a crush on her. With eligible bachelors falling over themselves to woo her, it remains to be seen who will be the lucky gent to sweep her off her feet. All work and no play make Jack a dull boy. The Minister says that she spends her free time with friends and family. “The family I live with plays golf together and we also sing and dance a lot!” She admits that she can’t say no to travelling to new places. And oh, she is also a foodie. “I never bow down in an eating or tasting challenge!” she adds. 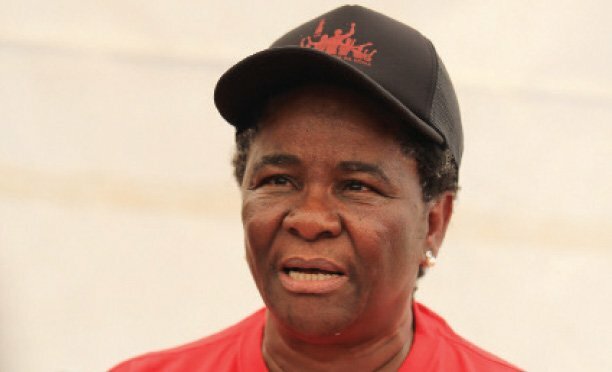 Dr Pelonomi Venson-Moitoi has refuted claims that she is under the radar of the Financial Intelligence Agency. Dr Venson-Moitoi who pulled out of the Botswana Democratic Party (BDP) presidential race at the eleventh hour, was last week reported to have had her accounts frozen because she was being investigated by FIA. It was alleged that the freezing of the accounts would have a negative bearing on her campaign as she could not access her funds. Responding to enquiries on the issue during a media briefing in Kang Village, Dr Venson-Moitoi said the allegations were far from the truth. According to the former cabinet minister, all her accounts were clean and she was accessing her funds without any challenge. “The person who was saying all those things was lying. My accounts are clean as we speak. I was never confronted by FIA or anyone. As far as I know I am not under any investigations,” she said. Linked to that, it had emerged that Dr Venson-Moitoi’s campaign was being funded from outside the country especially by the some rich families in South Africa. Reports then suggested that her source of funding was blocked through the intervention of FIA, and that even her accounts were frozen. She dismissed the reports as propaganda that was perhaps spread to soil her campaign. “I am clean. This is why I am never mentioned in missing funds from National Petroleum Fund or those of Capital Management Botswana,” said the Serowe South Member of Parliament. Last month Dr Venson-Moitoi had reported to the Directorate of Intelligence and Security (DIS) Director General Peter Magosi that she was not happy that she is being followed around the country by security agents. Magosi dismissed the claims on grounds that his organisation is not the only one that uses private motor vehicles. Simba Mooketsi Mampori, 31, of Mbalambi allegedly killed his girlfriend in Bontleng, Gaborone and used her blood to scribble a message on the wall. 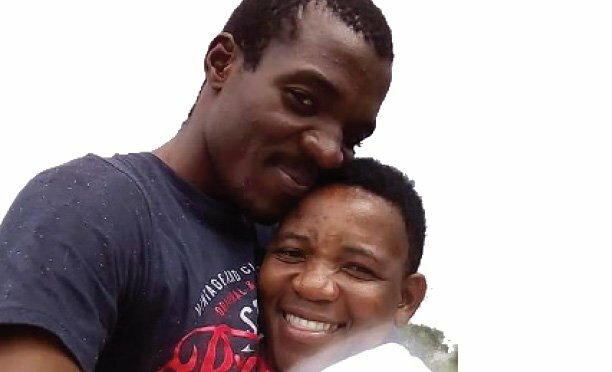 The message read, ‘Ke lapisitswe ke maaka’- translated to mean ‘I am tired of lies.’ Matlhogonolo Moshashu’s body was found inside his sister’s rented house in Bontleng.Mampori and Moshashu, 34, had a two year-old child together. Mampori allegedly killed her in March 31 by stabbing her with a screw driver, which was found inside the house. In an interview with The Midweek Sun this week, Otilia Kholiya, one of the tenants in the yard, said that she arrived on that fateful Sunday to find a yellow tape surrounding the yard with the police all over the place. She said that she was the one who helped with cleaning. “He used her blood and wrote ‘Ke lapile ke maaka.’ I washed all the blood in the house by myself. Although police officers suspect that he used the screw driver they found in the house to kill her, I beg to differ. “That blood was just too much, it must have been something bigger,” she said, adding that they found a new dress that the deceased was going to wear to Mampori’s sister’s baby shower. Another tenant Nicah Mandefu said that the house belonged to Mampori’s sister and that she rarely slept there and preferred her parents’place in Gaborone. She stated that she saw Mampori with his girlfriend arrive on Saturday around 4pm. “I don’t know him much because the house belongs to his sister. He probably just needed it for the weekend to spend time with his girlfriend who was staying and working outside Gaborone. “They just greeted me and another tenant as we were sitting in front of our house. They stayed for 30 minutes and left. They would come again around 7pm,” she said. Mandefu said it was the first time she saw the deceased. Mandefu said that Mampori’s sister arrived on Sunday around 9am, found her house locked and asked about his whereabouts. “She then told me that the lady he was with was actually his girlfriend and mother of his child,” she said. After some time, the sister returned to tell them that she received a report to say Mampori was found in Mmankgodi where he had tried to hang himself on a tree after killing Mashashu. Upon failing to kill himself, he drove off recklessly at high speed, thus catching the attention of the police who stopped and charged him with reckless driving. “The police then noticed that he was not well as he had bruises from trying to kill himself. He could not even speak to the police but wrote down his mother’s phone number and gave them the keys to the sister’s house. “They then took him to Thamaga Primary Hospital to be attended for his wounds on the neck, and later the police called his family and finally drove together to Bontleng where they found his girlfriend dead inside the sister’s house,” the neighbour tenant narrated to The Midweek Sun. According to Botswana Police Service Deputy Public Relations Senior Superintendent Near Bagali, Mampori is also linked to another murder that occurred on 26 March in Gaborone in which a 39-year old woman from Molepolole was found with stab wounds. At the time of his arrest, Mampori was awaiting trial for two murder cases committed in Mahalapye and Gaborone in 2016 and 2017 respectively. The deceased were his girlfriends. He was arraigned before Extension 2 Magistrate Court last Wednesday. He is incarcerated and expected back in court on April 17.